US-BioMat group visited ‘Grandes Vinos y Viñedos‘ (Cariñena, Aragón, Spain) winery as part of SOST-WINE project in which we colaborate with our collegues of CITA. 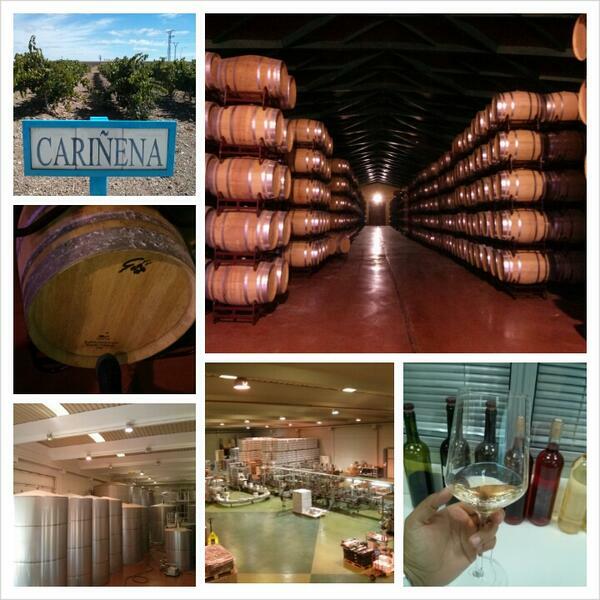 We enjoyed a lot our walk through the winery daily routine, mainly the chance to try one of their wines in exclusive. Definitely, a good day of hard work! This entry was posted on September 20, 2013 by M.D. Fariñas in News, Project.